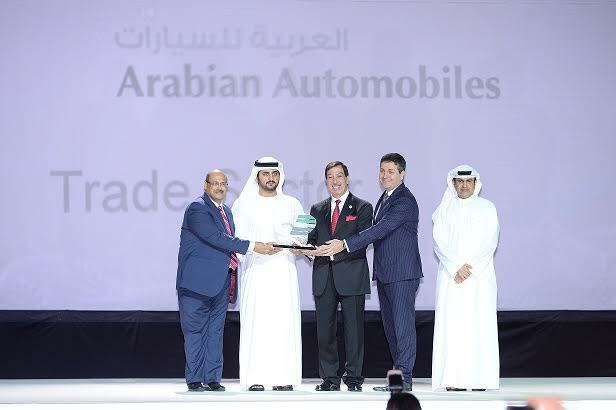 Dubai, UAE: Arabian Automobiles Company (AAC) has become the first automotive distributor in the UAE to be recognised with the prestigious Dubai Quality Gold Award, which reflects the commitment of the entire organisation to delivering the highest standards of excellence to all stakeholders. Commenting on the award, Mr. Khalid Al Rostamani – Vice Chairman, AW Rostamani Group – said: “I would like to extend our gratitude to H.H. Sheikh Mohammed bin Rashid Al Maktoum, Vice President and Prime Minister of the UAE and Ruler of Dubai, for his visionary leadership and guidance, which has paved the way for organisations to implement the latest technologies and processes, and to embrace the culture of excellence that has ultimately strengthened the UAE’s position as a global leader in the international business community. Arabian Automobiles Company is the first automotive organisation in the country to win the top quality award instituted by Dubai Economy. The achievement is a strong endorsement of the continuous focus placed on operational excellence, which has established Arabian Automobiles as the most awarded automotive distributor in the region. The company has previously been awarded prestigious accolades including the Dubai Quality Award (2014), Palladium Hall of Fame for Strategy Execution (2013) and Mohammad bin Rashid Al Maktoum Business Award for Most Outstanding Performance (2015). Adding to the company’s awards roster this year, the Dubai Economy has also named INFINITI of Arabian Automobiles Company the ‘Best Performing Brand’ in the 2016 cycle of the Dubai Service Excellence Scheme (DSES). The title honours INFINITI as the top brand in the automotive category and was awarded following a comprehensive survey that covered categories including ‘Outlet Appearance’, ‘Health and Safety’, ‘Policy and Criteria’, ‘Employees’, ‘Customer Service’ and ‘Customer Needs’, in all of which INFINITI earned full marks.